Looking for a Dance Partner ? Why Choose Dance at 8 ? All contents of this Web site copyright C 2013 by ‘Dance at 8’. No part of this site http://www.danceat8.com or the related information may be reproduced or transmitted in any form, by any means (electronic, photocopying or otherwise) without the prior written permission of the publisher. Many dances popular around the world have originated in Latin America. Three such dances: the Cha Cha, Samba, and Rumba, plus the Paso Doble from Europe and the Jive from North America, have been singled out and are now performed all over the world as Latin-American dances in international Dance Sport Competitions, as well as being danced socially. Bored with Zumba classes? Now you can learn the original Latin partner dance styles that Zumba was created from - and dance it as it was meant to be ! CHA CHA A lively, bubbly and cheeky dance with quick moves. First seen in the Ballrooms of America in the 1950's. it was developed from the Mambo. SAMBA This Brazilian dance was first introduced in 1917 but was finally adopted by Brazilian society in 1930 as a ballroom dance and used at Carnival parties. The style is to bounce steadily and smoothly in 2/4 time. They say that the Samba was introduced in the United States in 1939 by the late Carmen Miranda. RUMBA became a popular Ballroom / Latin dance and was introduced in the United States around 1933. A passionate story of Love and Tension between Man & Woman. It is an Americanised version of the Cuban Son and Danzon. It is danced in 4/4 time. PASO DOBLE is based on the Spanish Bullfight. It portrays the Torero (the male dancer) and his cape (his partner), and is danced to the characteristic march music used for procession at the beginning of a Bullfight. SWING An ever popular blend of several African American dances, which include Lindy and Ragtime Jazz and Blues, as well as all the other dance music to accompanying dances of the past ninety years. 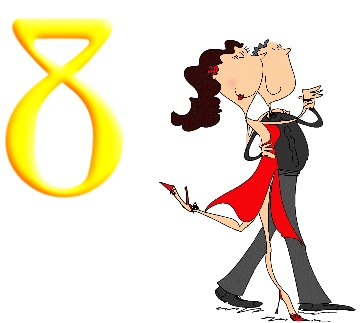 Today it generally refers to the ballroom and night club version which is based on two slow and two quick counts or the slow and two quick counts of rhythm dances. The association between youth and this dance has continued through its subsequent metamorphoses as: Swing, Jive, Rock & Roll, Boogie-Woogie, Hustle, Ceroc and LeRoc - French Jive. JIVE OR AMERICAN JIVE International competitive Swing dance with elements of the Lindy Hop and Jitterbug. Characterized by up-tempo single time music danced with triple steps done primarily on the toes with very lively movement. HOLLYWOOD STYLE LINDY Hollywood Swing is a style of Lindy Hop from Los Angeles in the 1940’s. The dance has a variety of different names, Smooth Style Lindy, L.A. Style & Dean Collins Style.... "Hollywood Style" reflects both the geographic origins of the dance and also it's appearance in so many movies. Hollywood Swing is not only the absolutely authentic jitterbug style it is also the original rock 'n' roll jive as danced in the classic R 'n' R films of the '50s. This is the Real Deal. ROCK & ROLL A popular form of the Swing or Lindy Hop. Began as a dance done mostly by teenagers who were fans of singers like Elvis Presley and the Beatles. BOSSA NOVA The music was born of a marriage of Brazilian rhythms and American Jazz. The dance, which is said to have originated at Carnegie Hall in 1961, is based on the slower, more subtle Salon Samba and features either type of Clave Beat or a Jazz Samba in 4/4 time. HUSTLE or 3 COUNT HUSTLE Similar style disco dances which had began in the 70's and enjoys popularity yet today. In the movie "Saturday Night Fever." The Hustle is danced by John Travolta to the popular beat of the Bee Gees. Great ‘Retro’ dance. MERENGUE The national dance of the Dominican Republic and Haiti is 2/4 time with syncopation of the first beat interpreted by the dancers as a slight limp. It became popular in 1957. A standard Latin American dance, very popular throughout the Caribbean and South American. SALSA This is a favoured name for a type of Latin music which, for the most part, has its roots in Cuban culture and is enhanced by jazz textures. The word, Salsa, means sauce denoting a "hot" flavour and is best distinguished from other Latin music. SALSA RUEDA also known as CASINO. Salsa Rueda means salsa in a "wheel". Salsa Rueda is dynamic dance, danced as a group with the follower being passed in the wheel and exchanging partners. Sometimes done as wheels within wheels - and all done in time to spicy salsa music. A very social fun style. Press The ‘Dance Classes’ button above to find the next set of classes to join in! Here is more information about the various Latin American Dance styles. Which ones would you like to learn? Jump up & Join in ! Why choose Dance at 8? Problems receiving the Newsletter ?